Our Cape Town Beer Route was the very first! Back when craft beer was still in the garage, we launched a tour that showcased the emerging trends, rooted in the most ancient forms of brewing – traditional African brewing. Beer, like coffee, started on this continent. Since 2012 when the tour was launched, the craft beer scene has exploded. Much like coffee in Cape Town, it feels like there is a brewery on every corner. Just about. The quality of beer is high. The range wide. And yet, only a handful offer distinct brews. This four hour half day Beer Route visits a couple of our favourite breweries, sampling the range, touring the facility, and having a bite to eat. And then we visit a traditional master brewer. These are mostly women, brewing in ancient ways. Craft beer emerges out of these traditional forms, and so for us it is important to pay homage to the tradition. On a daily basis, tens of thousands of women across Cape Town brew umqhumboti, or traditional beer, for special events or to serve in township shebeens and make a living. We visit a master brewer in either Langa or Guguletu. It is the tradition to go down on your knees and drink from a communal vessel. 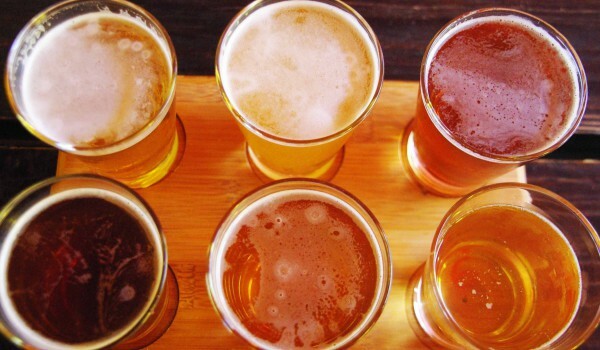 Some of our favourite craft breweries include the Brewers Co-Op in Woodstock, Devil’s Peak Brewing, Triggerfish Brewing, Afro Caribbean Brewing Company, Jack Black Brewing Company… there are others, this is a selection of favourites. At the end of the tour we pass by Roeland Liquors, where owner Manie Potgieter has curated a fine selection of South African craft beer.